It is designed for easy microsurgey. Especially for the eye. 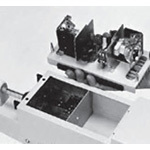 The adjustment of the height is made by counter-balance and the fine adjustment of the microscope is motorized by a footswitch operation without using hands. 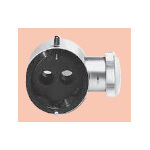 Easy sterilization protectors are attached on the magnification changer knobs and the microscope positioning handle. 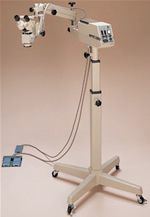 The five-steps magnification changer is incorporated in the OP-2; 0.4X, 0.6X, 1.0X, 1.6X and 2.5X, which permits a variety of the total magnifications of 2.6X, 4.1X, 6.4X, 10.0X and 15.8X. Control knobs are located on both sides of the microscope head to permit the surgeon to conveniently select the desired magnification.